Can you make it to the exit? 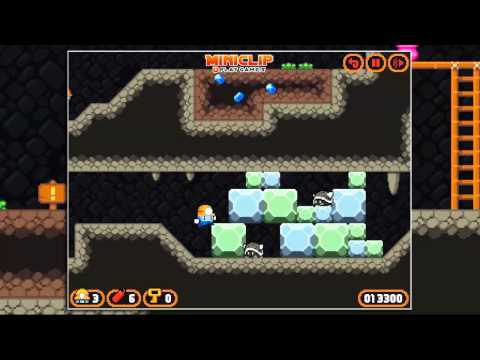 Make your way to keys as you guide DynaBoy through the mines in this platform puzzler game. Find boxes of TNT to blast through obstacles! Dodge cave critters and collect treasure as you go. The way out may not always be reached by blowing things up though – and it may not even be lit. Keep your eyes open and your wits about you. Try not to blow yourself up!